Conventional lithium-ion batteries, which use liquid electrolytes, are reaching the upper limit of energy density and facing challenges concerning limited operation temperature. All-solid-state batteries are a promising solution to creating a high-capacity and highly-powered battery of the future. Toyota Motor Corporation and the Tokyo Institute of Technology have discovered superionic conductors with the world’s highest lithium-ion conductivity. They have been applied to develop an all-solid-state battery that has achieved a power density three times as high as the conventional lithium-ion batteries. This is part of a project with the New Energy and Industrial Technology Development Organization (NEDO), the Japanese government agency which supports innovation in renewable energies and environmental and industrial technologies. Testing has revealed that the battery is able to operate efficiently at a wide range of temperatures, between -30 and 100 degrees Celsius while a conventional lithium ion cell showed very low discharge capacity at -30 degrees and couldn’t operate at 100 degrees. 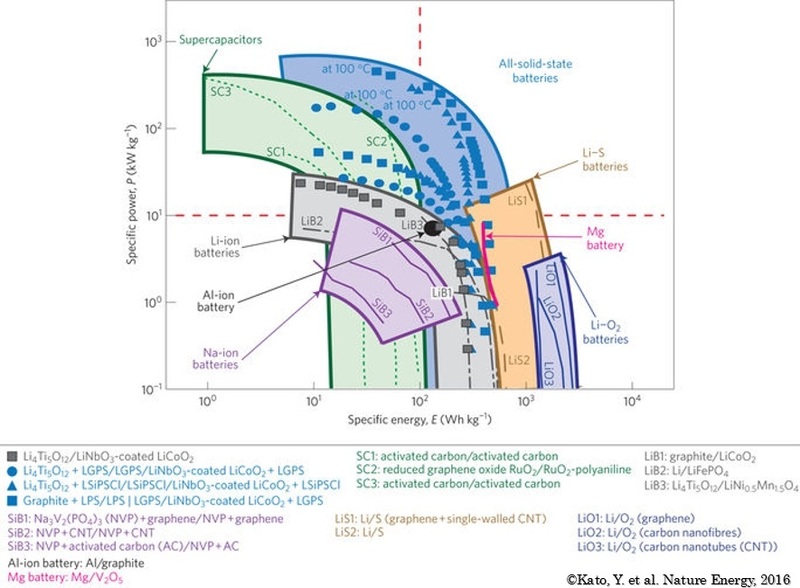 All-solid-state batteries can be used as electric vehicle batteries or stationary storage to support intermittent renewables, contributing to the reduction of greenhouse gas emissions. They provide an opportunity for a cost-effective means to smoothen the electricity from intermittent renewable energy sources, especially solar. There is still work remaining in order for the technology to become commercially available, but this discovery may pave the way for all-solid-state batteries to become commercialized.